If you are a fan of aesthetic and view, there is no better option than glass balustrade when it comes to fencing. If adds an element of class to your home while allowing an unobstructed view of the area. Also it is quite low maintenance. All these features of glass balustrade make it one of the most popular choices amongst fencing styles. Regular cleaning schedule: Though low maintenance, glass balustrade do need to be cleaned regularly in order to remove dirt and contaminants from the glass and to keep it sparkling clear. It’s best to wash these glass surfaces with simple liquid soap and warm water. The regular dishwashing soap works perfectly well. Try to avoid commercial glass cleaners as they tend to leave behind residues on the glass. 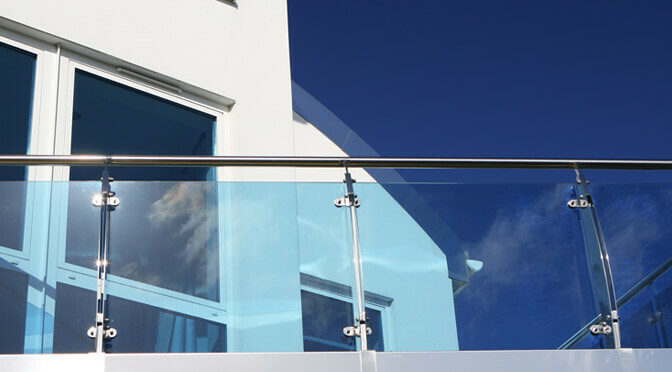 Protecting the surface: Something else that is very handy to do is to apply some form of protection to your glass balustrades. This will stop damage occurring, and also make it much easier to clean your glass. You can treat the glass with a special wax that reduces how often and how long it takes to clean the glass. Another option is to use a protective glass coating. Checking for damage or loose fittings: The tempered glass used in balustrades is very hard and it isn’t really prone to getting shattered. However it might chip or develop a crack if a very sharp or heavy object bangs into the glass. That is why a regular inspection routine is needed. Also look for any loose fixings or areas of loose glass, to ensure that gates within the balustrades work properly and so on. For any more information about balustrade and glass fencing maintenance, and our products, call SN Fencing at this number – 0419 501 557.